I still do not have regular access to the internet and I won't until Wednesday. Right now I'm at the University using the internet there. During the moments when I haven't been moving or unpacking things, I've been working on my current campaign. I did a more detailed write up for Nightwick Village that was partly inspired by flipping though Verbosh and partly inspired by Scott's belief that he "could do that." I decided to see if I could, on a smaller scale. I'll be scheduling the content I have so far to post in three parts on Monday, Tuesday, and Wednesday. 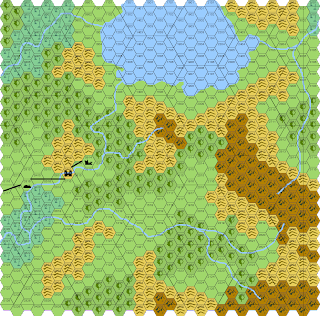 Due to the fact that I have no regular access to the internet, I cannot use the free version of hexographer to work up a small map to go along with it. Hopefully this will be rectified by Wednesday and I can post one by Thursday. If enough people show interest in this I may begin working on a larger product for the whole dark country. This would include some information already on this blog, such as Froglings and the Piteous Worm, along with things that have yet to be developed in play. Due to the nature of my campaign, it'd likely be a very long time before I actually had a workable manuscript. The minisetting will assume you're using my terrible goulash of rules, but they should be easy enough to convert. This version will be totally 100% free, but it relies on AD&D too much to be released under the open gaming license. As such, it's just my stupid little fan thing. If I do a bigger version I'll try to fill in the gaps left by using Labyrinth Lord with new content that emulates the way the specific AD&D monsters I'm using show up at my table. Neither the minisetting nor the hypothetical larger product should be viewed as "canonical." The version I play with uses a different map, the Fiend Folio and Monster Manual II, none of which I can easily provide. 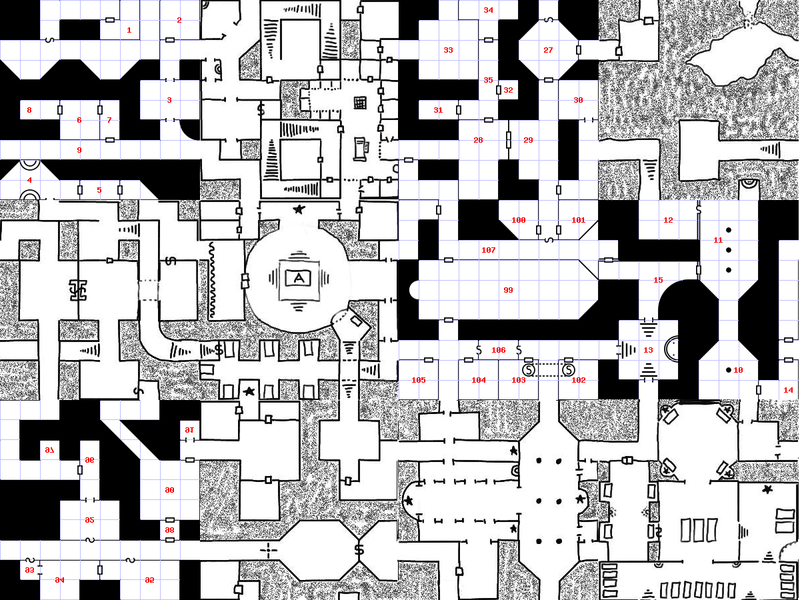 They will also not contain maps of Nightwick Abbey, as I've used many of the geomorphs available throughout the OSR and don't really want to take the time to make a whole new megadungeon I'm not actually going to use. Before I disappear into the either that is life without the internet (albeit for a short time) I decided to offer this up for your approval. It is intended for use with the White Box. Whether that means OD&D or S&W is up to the user. Earth men are humans from the surface world. Most come from our Earth in the 19th, 20th, and 21st centuries. Their method of entry may be decided in congress with the referee, or it may be left a mystery. Almost without exception Earth men are explorers, archaeologist, or other occupations that the popular imagination has glamorized to the point of absurdity. A referee may wish to begin a campaign using only Earth men characters. This can help players to better accommodate themselves to the wonders of the Hollow Earth, but they should begin making natives once they are familiar with it. It can be extremely difficult to keep player knowledge and character knowledge separate, and the less this must be done the better the game will be. Character Advancement: All Earth men begin as Fighting men with no money and randomized possessions (see below). However, if they find a tutor willing to train them in the magical arts, they may advance as magicians. Once such a tutor has been acquired, they must select each session whether they are advancing as a Fighter or as a Magician. Weapon/Armor Restrictions: Unless wearing magical armor, they are subject to all Magic-user restrictions if they wish to cast spells. Languages: Earth men begin play knowing common. They always perceive this as sounding like their native language -- usually English. When encountering a new language they can understand it on a roll of 1 on a 1d6. They gain a +1 on this roll for an intelligence over 12, +2 over 14, and +3 over 16. These languages they also perceive as sounding like their native languages, and they can switch between languages easily. This typically frightens inhabitants of the Hollow Earth who understand the massive differences between the various languages. Technology: Earth men automatically understand any technology that is roughly equivalent to something from their own time. They also have a 20% bonus to any % chance to understand more advanced technology unless it is completely beyond the realms of imagination. As this game is entirely about imagination, one must assume this bonus is usually in effect. I'm going to be moving into a new apartment today and tomorrow, and I have yet to set up internet for it. I'm not sure when regular posting will resume but hopefully it'll be very soon. Scrotie's name is a distortion of Scrotie McBoogerballs from South Park, which I suggested he should use as his name jokingly. He decided to go with it, noting that the one thing he had control over was his name and I couldn't take that away from him. One cannot argue with that logic. They started at level two. Despite this, Scrotie only had 2 hp. They hired a few linkboys and a man at arms to help the odds of surviving in the ruined abbey. They then set off down the vine-choked path to the dungeon. I've always described the vines as "space kudzu," and we managed to discover some things about that noxious plant. First it's bluish in color, though there is a hint of green. At night it glows a color which is alien to our Earthly color spectrum -- Scrotie's player suggested it was mauve. It is difficult to light, and when it does manage to burn it gives off a foul-smelling, poisonous vapor. It's spring now in the campaign world, and the once sickly weed is now displaying a disturbing fecundity. After messing around with the vines, the party found themselves confronted with the only two structures left standing in the Abbey. These were two squat towers whose tops had toppled in the siege which took place over a hundred years before play began. They picked the right one to enter and inside found an open trapdoor in the center of the otherwise bare floor. This was the same tower the previous party had descended several times before. No characters have yet ventured into the left tower. They traveled down the trap door, where they found a large, spiral staircase which lead to a squat, square structure somewhere beneath the tower. In this structure was a 20' x 20' room with a small pool in the middle. In the first session the players had avoided this room because it's emptiness spooked them. This time they were more foolhardy and were attacked by the goopy creature that lived in the pool. Numbers won the day and the party was victorious. They then preceded into the torture chamber where in the first session they had encountered a necrophidius. This time the found only its remains. This was a bit strange since every other part of the dungeon gets cleaned up by unknown booglies in the weeks the party isn't exploring. I usually gloss over rooms the party has already been to (except to check for random encounters while they travel through them) but since they had no map we lingered a bit longer in these chambers. What were formerly gates were not portcullises, and they saw no way out short of immense strength. First though, they decided to investigate some of the cells. Luckily enough the very first cell they inspected contained a secret door which led to a small and empty chamber. They only managed to open the door beyond this before they were ambushed by a band of mites. Scrotie used his sleep spell to good effect and the Mites were easily defeated. At that point the party returned to the surface and we ended the session. 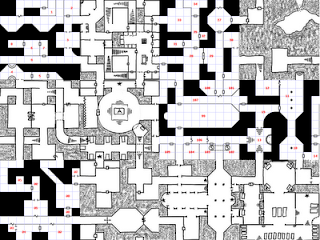 I continue to be amazed at how much gaming I've gotten out of the first level map of Nightwick Abbey. 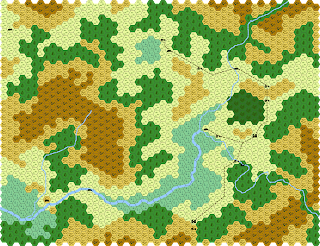 Early in the prep process I added I added several geomorphs to my initial map in order to make it fill a sheet of 6 to 1" graph paper. After 20 sessions the party only managed to discover a little bit of the initial map. I've changed quite a bit of it, and added a few more geomorphs as I've already mentioned. I've also put in a few secret doors, traps and other things which aren't marked here. Evan took the Hardest Gary Gygax Quiz in the World and got 50%! Anybody Know How Somebody Might Print This? Noble Knight has unfortunately sold out of blank Judges Guild maps. I wonder why. Anyway, Rob Conley offers a copy on his Majestic Wilderlands site in .pdf form. I was wondering if anyone out there might know how to get a print shop to print it at roughly the same size as an actual Judges Guild map. The places located on the map only represent the territory actually controlled by the monotheistic "settlers." 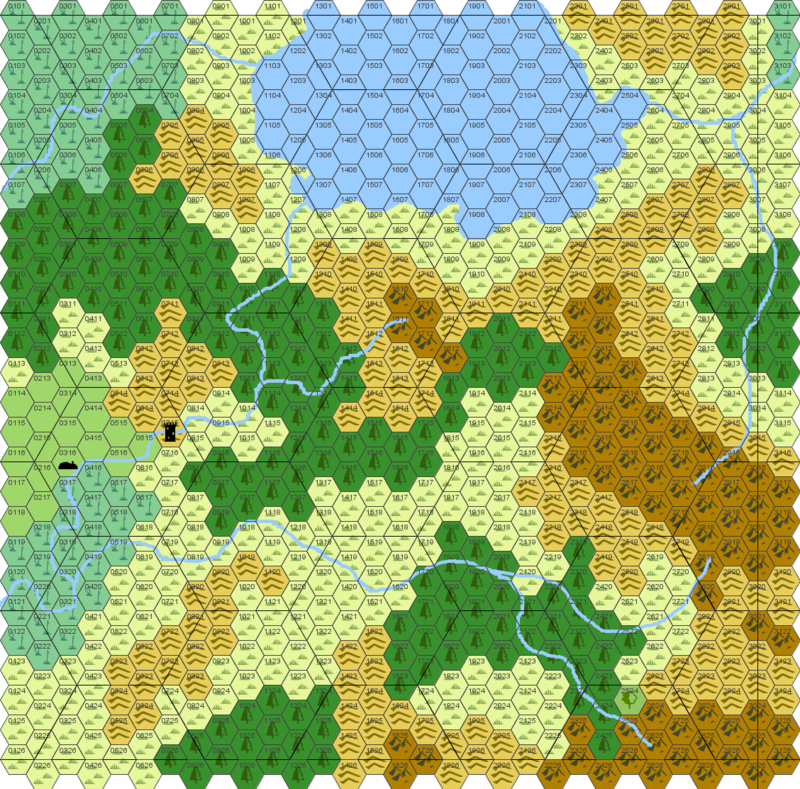 I still need to add the various fortresses, villages, and shrines of the Petty Kings and the various other features the map will contain. You may notice that there are only six "cities" on the map. 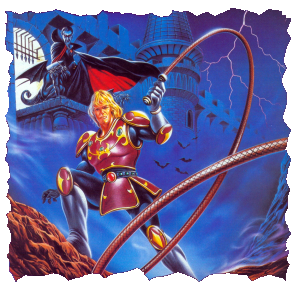 I've decided that Nightwick was originally the seventh but its massive decline during the war that destroyed the Sword Brothers has reduced it to an impoverished thorp. As I mentioned earlier, I'm in Hattiesburg right now. One of my friends said he wanted to try DCC, and I had a copy of the adventure starter from Free RPG Day, so I decided to give it a shot. Here are my thoughts. The character funnel is really fun. Even my old players who liked 3.x liked it. I noticed that as the group thinned out certain characters gained more personality. Individual initiative for 18 level 0 characters is insane. We used party initiative. I'm going to try the individual initiative system if we run it again with level 1 or level 5 characters. The adventure had some really cool things in it, but too much of it was just "characters walk in and are attacked." I basically had to assign DCs for things completely off the top of my head. I hope I'm supposed to do that. Since there aren't any experience rules yet, I'm a bit worried about the pace of advancement. Though I acknowledge it was rather slow in the Nightwick campaign so far, I don't want something so fast that I can't have Nightwick Abbey have massive levels. On that note, I'm not really interested in any RPG that can't run Nightwick Abbey. Character creation went really quick. This is of course a good thing. It was weird seeing DCs for saving throws again after having dealt with static numbers for so long. I think I mentioned this last time, but I really hope there is more guidance for the referee to build his or her own adventures and setting than is provided in the beta rules. I understand they want to be elitist, but I don't have a lot of use for rpgs without random encounter tables. The alignment of monsters is kinda all over the place. It's weird to see a lawful demon snake next to chaotic undead who were all supposed to be created by the same evil War Wizard. On that note, can one actually play a war wizard? I hope so. Finally, I'd really like to see some support for non-Dungeon Crawling activities. Don't know if that's going to be in there. On the whole I'd have to say it was a positive experience. 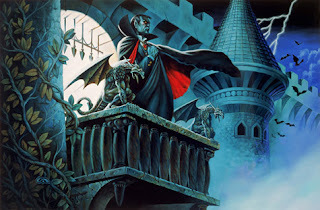 The reason I hope all that stuff above is in there, and that the pace of advancement isn't too quick, is that I think it would be neat to use with Nightwick Abbey/the Dark Country. However, if it doesn't provide the support needed for a megadungeon or hexcrawl campaign that can be run pretty much indefinitely, I'll just stick to the rules I posted previously. This is a vague summary of the rules systems I currently plan on using when I restart the Nightwick Abbey campaing. All of these use Labyrinth Lord as a base. The original iteration of Nightwick Abbey that I ran before moving to Knoxville use the Swords & Wizardry: White Box along with a completely homebrewed monster list. This represents the current state of the campaign. Some really astute readers will note some inconsistencies with earlier characters, such as Ffraid the Cleric who used the RC rules that level 10 Clerics become Druids. Since she died in the TPK I've decided to make Druids a base class. 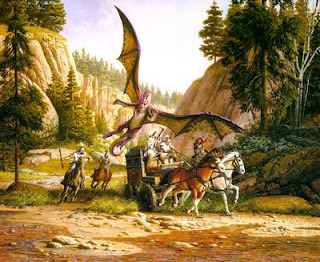 - Some monsters have considerably different ecologies than the ones provided in the various AD&D books. Dark Country descriptions always trump AD&D descriptions. 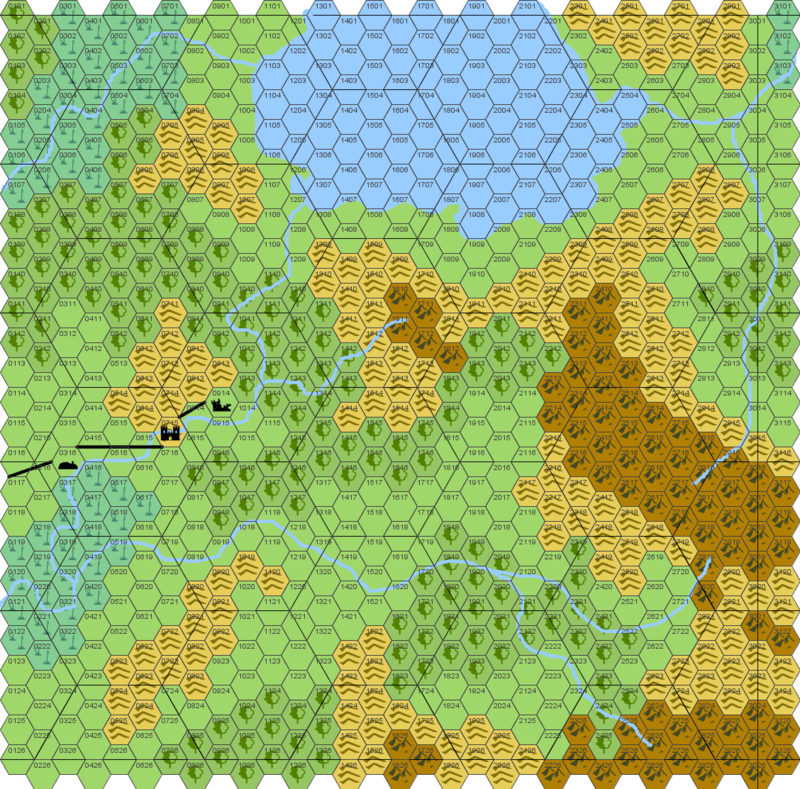 Here is a version of the Dark Country that's been refitted to fill an area roughly the size of a Judges Guild map. I hope to transfer it to a blank Judges Guild hexmap sometime in the near future. I wanted to get it hammered out before I scribbled some nonsense on the map, so here is my first attempt. I used Welsh Piper's system as usual, and I've generated the number of encounters which will be on the map. Oddly it came up to 25 major encounters, and 40 minor encounters exactly. I'm going to place them pretty much as I see fit, and then I'm going to use the various guidelines in the Wilderlands and OD&D to determine what the ruins and castles contain. I'll post a stocked version later with a complete key and encounter tables. I'm going to be in Mississippi and Louisiana helping a friend prepare for his wedding over the next week, so it's likely I might not have much time to post. There are a couple of days when I may have some time to work on the Dark Country and Nightwick Abbey, but I probably won't be able to post the results until I get back to Knoxville. Hex # | Creature | Pop. The two lairs listed represent what they were like when the players first encountered them. They're not sure how many goblins are left, but the hobgoblins were wiped out to a... hobgoblin I guess. Anything not on the above map is fair game right now. I still plan on basing the area off of the Carpathians as interpreted by Hammer films, but everything else is a bit up in the air right now. At least that which is outside the players' vision. The previous poll pretty much told me all that it could, so I've made a new one. I'm currently in the process of revising my Dark Country maps and I'm not sure yet whether or not the Bishop of Lichegate and the other rulers of the Seven Cities are going to be name level or not. Wanted to see how other people generally handled it. It looks like Nightwick Abbey is going to continue with a (mostly) new crop of second level characters. We may see a few more members of the le Douche family. Today I decided not to use the Welsh Piper's excellent map stocking system. Instead, I'll be using the system for "Designing the Setting" from the Rules Cyclopedia*. Since I plan to use BECMI for the Borderlands campaign this seemed appropriate. I'm going to detail the process in a series of posts, starting with this one. Now that I have a general understanding of what the Borderlands looks like, let's move on to the second step. The design is loosely based off of Il Male's North Marches. 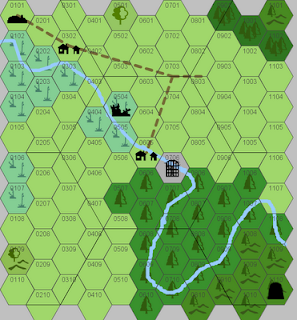 As regular readers can probably guess, I used the Welsh Piper system to determine the terrain itself. It has a nice mixture of forests and mountains, as well as having the obligatory swamps that I will shove undead and frogs into. I like it. 3. Place the Home Town and Local Dungeons. This wasn't too difficult. I already knew what kind of terrain B2 needs -- it's very hilly -- so I just needed to pick a spot on the map that had a river running through some hills. I also needed it to be on the western edge so that most of the exploration takes the party into the eastern wilderness. The town that appears is there so that the party can acquire things not normally available in the Keep itself. I made sure it was about a day away, each small hex is 10 miles, in order to keep the party from visiting too regularly. Even though it's very close, the journey from one to the other must still be dangerous since it's implied that traders travel along the roads in caravans to protect themselves. That's the other reason the town needs to be there. There isn't any farmland around the Keep itself, and the soldiers have to be fed. For right now that's the only human settlements in the Borderlands that I'm aware of. If others show up they're "squatters" who do not pledge loyalty to the King of the Realm. This was a tad harder. I needed it to be primarily lawless, but I also knew I wanted a declining Dwarfish kingdom and some Elves running around. I determined much of what follows by looking at the humanoid entries for the random encounter tables in the RC. That's about as detailed as I'm getting for right now. Eventually I'll put down some Dwarfish holds and Goblin villages, but that can wait. The party hasn't even set foot into the caves of chaos yet. I'm a bit worried that the preponderance of goblinoids will be a bit boring, but it might work out. I'm also not sure if I should leave the town there, or assume that it's a much longer journey off the map to the west. Also: why the hell is there a road leading out into the Borderlands in B2? I'll complete steps 6-8 at some later point and post the results here. * I'm not sure if these steps appeared in earlier products because I don't own them. Also, if you think I should be using Moldvay/Cook instead of BECMI keep it to yourself. I don't own Moldvay/Cook but I do own Mentzer Basic and the RC. This is my first try at the "Borderlands" which lie East of the Realm of Man. The keep should be easy to pick out. The town is to the West and the ruins to the East are an old human encampment or fort that was destroyed by various nasties. I haven't noted wooded hills or mountains because they make no difference on BECMI's encounter tables. I'm not very happy with the roads, and obviously it needs some stocking and general sprucing up. Still, it'll do for now.